The Cleveland Cavalier and head coach Larry Drew have mutually agreed to part ways. Drew had signed a two-year deal in November (the second year was a club option) after the Cavaliers fired Tyronn Lue after an 0-6 start. Cleveland went 19-57 the rest of the way with Drew who was put in an untenable position with a roster of young players and and second tier journeyman veterans. Drew, a players coach but also a disciplinarian, did well bringing along Cleveland’s young talent including the Cav’s rookie PG Colin Sexton. The Cavs ended the year on a 10-game losing streak with the worst point differential (9.6 ppg.) in the league sealing Drew’s fate. 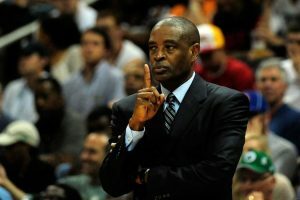 In five years as an NBA head coach with the Cavs, Hawks, and Bucks, Drew compiled a 162-226 record. For news, scores, odds, lines, injury reports, free plays and P4P plays from the best roster of handicappers on the planet, make www.VegasScoresAndOdds.com part of your daily routine.